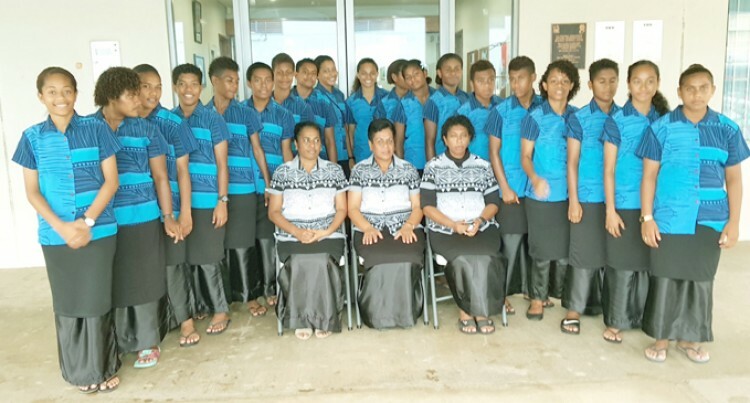 The Vodafone Fiji women foot­ball side is in its last stage of preparations for next month’s Pacific Mini Games in Vanuatu. The MarikaRodu coached side presented its itatau to the President Major-General (Retired) Jioji Konrote with other Team Fiji ath­letes yesterday. Women’s football President Susan Wise says, the team will do its best at the tournament. “We have had a good camp under the guidance of Marika Rodu,” Wise said. “The tournament pools and fix­tures are yet to be out and we are waiting for that,” she said. The Pacific Mini Games will be held from December 4-15 in Vanuatu.